As Trekkies know, Resistance is Futile. The Borg are by and far the greatest baddies (beside Khan, duh) ever introduced in the Star Trek universe; these hive-minded Cyborgs are actually a monster mash of numerous alien species spliced together with nanobots. 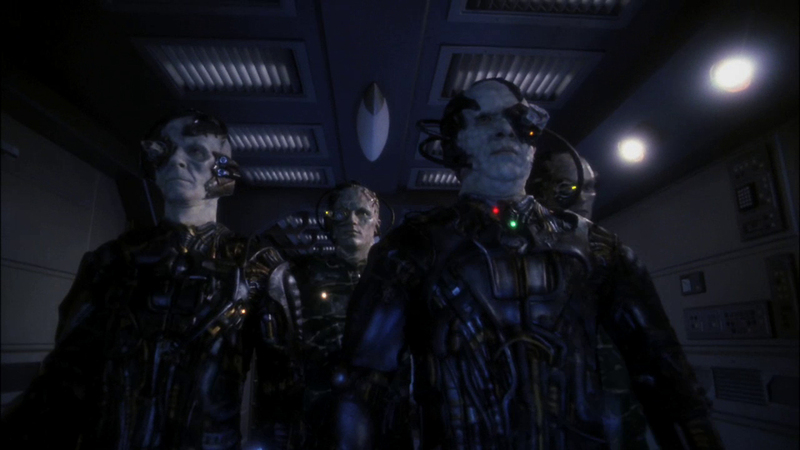 The terrifying Borg are always trying to assimilate new races into their Collective, and even get their claws on Picard for a short period of time. What makes the zombie-like Borg so great is their willingness to splice more and more tech into their body, creating uniquely powerful and terrifying drones. Their Queen, Alice Krige, continues to haunt our memories some twenty years later.